Although I frequently travel internationally, regularly engage with international students and colleagues and ponder global issues, a recent flurry of international experiences and in contrast, some vivid examples of opposing realities in higher education has prompted me to reflect once again about the importance of global engagement. Higher education’s global engagement is more critical now and higher education must assume responsibility and leadership for engaging the public about the importance and value of developing a global perspective. The series of international experiences this spring began with a trip to selected Chilean universities to help promote graduate education at Virginia Tech and to confirm a partnership with CONICYT (National scholarship organization in Chile) to recruit highly talented individuals into graduate degrees at VT. We visited the University of Concepcion and t he Austral University of Chile (long standing partnership) and engaged with their faculty and academic leadership. In Santiago, we met with Sharapiya Krakinova from CONICYT, who is facilitating the program for graduate education and research exchanges. 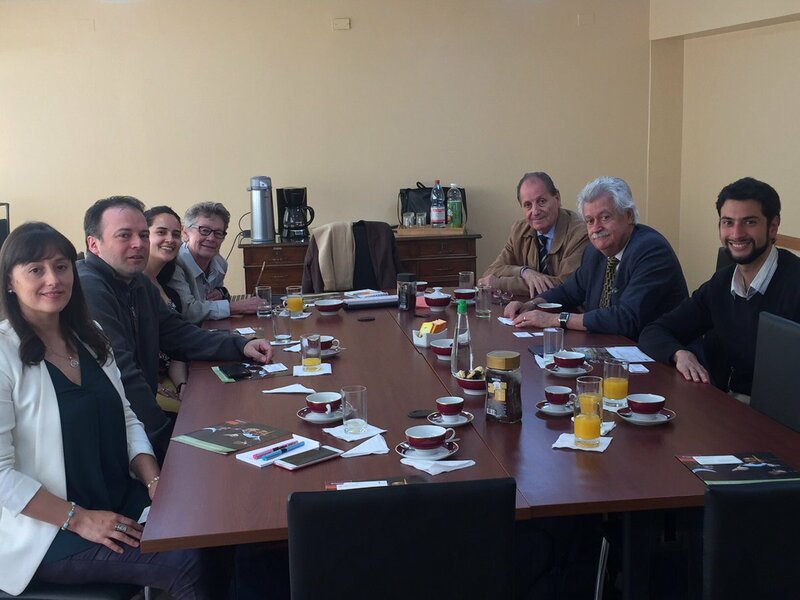 We also co nnected with VT graduate alumni and representatives from other universities (UTEM, U DE VALPO, U De TALCA , U Católica del Norte) interested in developing more formal relationships with VT. And yes, the earthquakes were real. 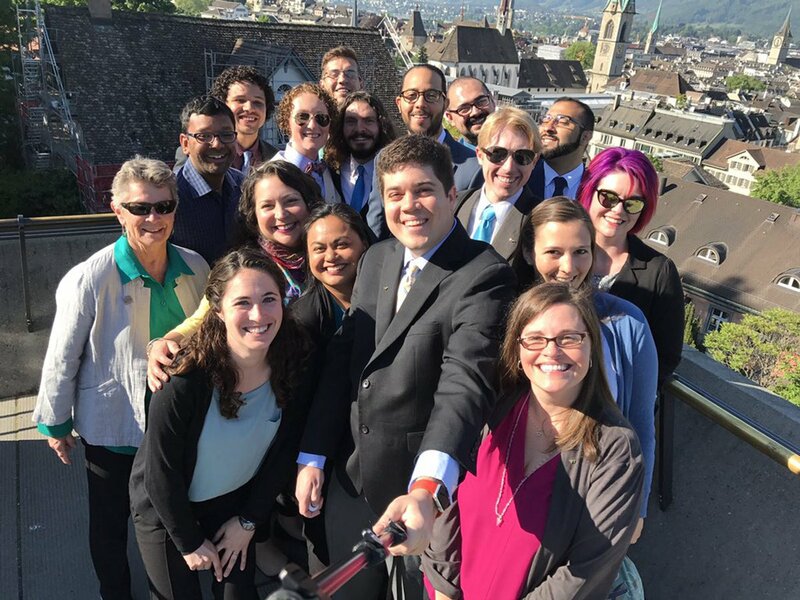 On May 21st, the Future Professoriate Global Perspectives program (GPP’17) trip started in Zurich for visits to eight universities (Switzerland, France, Italy) plus a global summit and ended in Riva San Vitale on June 1, 2017. The Virginia Tech group traveled to Switzerland (and beyond) and returned to the U.S. in June. Two participants of GPP’17 from University of Zurich visited Blacksburg and VT before joining the participants from University of Basel in Boston. 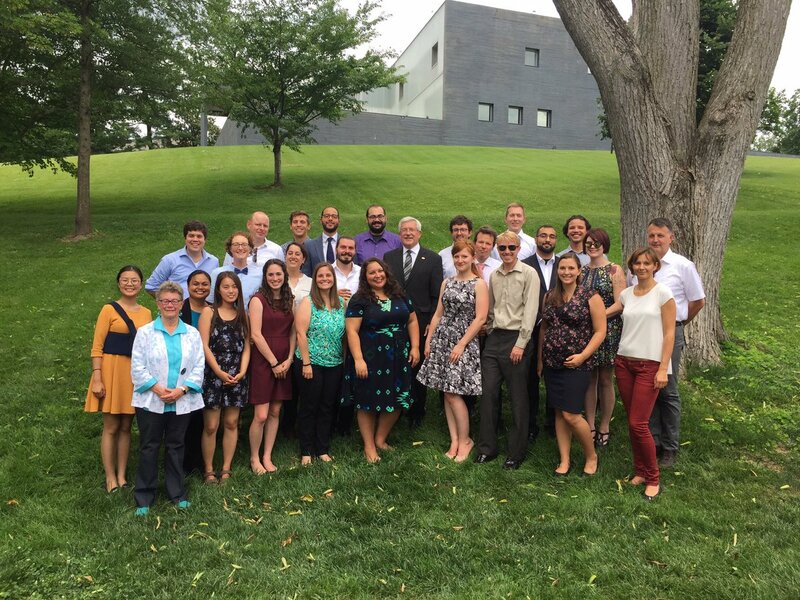 The Global Seminar at the Swiss Embassy in Washington DC was held on June 23rd with Dr. Mary Sue Coleman (President, Association of American Universities) as th e plenary speaker and presentations from the GPP’17 groups. Lively discussions on “Higher Education as Public Good” ensued along with a hosted by Swiss Ambassador Martin Dahinden. Between the GPP’17 travels and the Swiss Embassy seminar, VT was host to the second one week visit of faculty from USFQ as part of the 21st century faculty program entitled SHIFT. During this same time frame, administrators from Shandong University in Tinan and Qingdao China arrived in Blacksburg for a brief visit about the VT-SDU partnership. 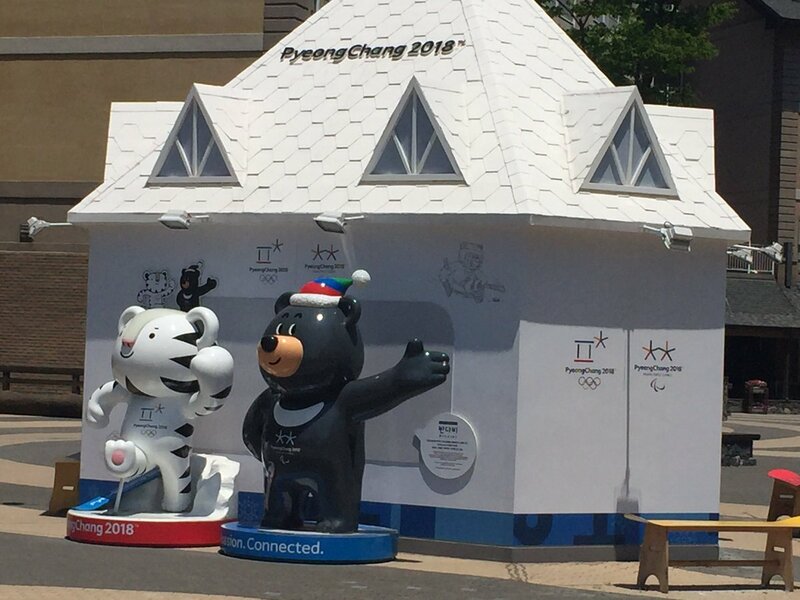 And then, I traveled to Daegu, South Korea for sport science professional meeting and a day trip to PyeongChang and the site of the 2018 Winter Olympics and Paralympic Games. Many countries, many people, many perspectives. Enhanced global understanding and engagement! So easy to travel internationally (except some irritating flight delays, cancellations and missing then damaged luggage) and to engage with individuals around the world. Yes for me and others like me but it isn’t the reality for many others, especially now. The value of international experiences in higher education (e.g., study abroad, exchanges, Global Perspectives program) are well documented and many possibilities exist. For years, international students enrolling in U.S. higher education institutions have provided the opportunity for greater global awareness and understanding. But things have changed recently and opposing realities have become clear and increasingly more visible in 2017. Since the “travel ban” and its various iterations, uncertainty and a “chilly climate” have loomed large. The impact is seen not only in the United States but from abroad. There remains great uncertainty and angst among the international communities. The Chronicle of Higher Education has published recent articles about the impact upon international students currently and the concerns that they face. University World News also continues to report on the outlook for international students in the U.S. As a consequence to recent actions, applications from international students have decreased (especially from the six countries) and Fall enrollments remain uncertain at this time. It’s a tough environment for international students studying or wanting to study in the U.S. Two specific examples come to mind that are “close to home”. A VT graduate student went home to Iran and couldn’t return to the U.S. for the spring semester due to travel restrictions. She was finally able to return but it took an entire semester to do so. Although all of the other GPP’17 participants were able to come to the U.S. for the program, one individual from Sudan was not. His visa application submitted early in spring semester is likely still pending although the visit has long been over. It wasn’t denied because it is possible for individuals from Sudan to come to the U.S. but it wasn’t acted upon in time. Unfortunately he was unable to participate in the GPP’17 group presentations at the Swiss Embassy. Upon reflection, I suggest that these represent but one example of a disconnect between higher education and broader societal interests and values in understanding of the meaningfulness of global experiences and global engagement. Mary Sue Coleman stated emphatically that higher education is a public good. Agreed and this must include a global perspective. I believe that it is the responsibility of higher education to communicate with citizens unfamiliar with our academic world about the value of international students to higher education and the value of global understanding to the workforce and global citizenry. We must find ways to encourage society to embrace culturally different views and communicate clearly the value of international students. Clearly, we need more ‘global perspectives’ not fewer. On the eve of departure – once again! Eight years ago in May 2006 my bags were packed and I boarded a plane to meet the 10 Virginia Tech graduate students at the Hotel St. Josef in Zurich, Switzerland selected to participate in the launch of the global perspectives portion of the preparing the future professoriate program. As it is now called, the Global Perspectives Program is offered within the Transformative Graduate Education initiative developed by the Virginia Tech Graduate School. First GPP at VT Center for European Studies and Architecture, Riva San Vitale, 2006. It is now May 2013 and another eve of departure has arrived. In the past 8 years, there have been many eves of departure – nine to be exact and this will be the tenth. 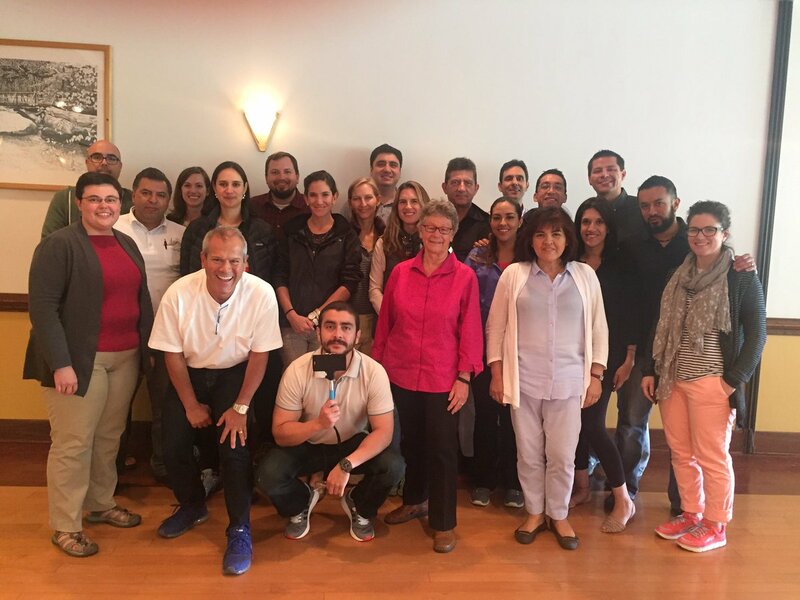 Most of the departures were for the GPP experience focused primarily in Switzerland, one was for the pilot GPP in Chile, and one was for the Global Perspectives program for graduate deans. So much has happened since that first departure. What began as simply an idea, a possibility, has become a reality. A partnership has been forged with the University of Basel. Graduate deans from other U.S. graduate schools are watching what we do and are developing global perspectives programs designed for their home institutions. And I continue to consider possibilities for expanding the program. By many measures the GPP has been a success: 120+ participants and multiple visits to universities in Switzerland, Italy, France, and Germany. Presentations and publications. Strong connections across universities and among academic leaders. Alumni. Collaborations. And more. The global perspectives program is more than study abroad although it probably falls under the category so identified by the university and described by colleagues. It isn’t just a program, it is an experience and yes, an experience not unlike a study abroad program but yet somehow it is different. It involves graduate students – that’s somewhat unique. The graduate students come from different disciplines – that’s unique. The program is offered by a graduate school and led by a graduate dean – that’s definitely unique. The graduate students’ projects are unrelated to their research. We visit universities to understand more about global higher education – we meet with academic leadership, faculty and students, we visit different academic units (faculties, departments, buildings). We contribute individually and collectively to knowledge and understanding of a shared theme – this year ‘university & society: meeting expectations?.’ We interact across disciplinary perspectives, we reach across cultures and languages. We learn. We appreciate. And we learn to appreciate. GPP is also about the opportunity for participants to learn more about themselves. And the experience can be a very personal one. Sometimes it happens unknowingly, sometimes reluctantly and sometimes quite willingly. As a part of the experience, I ask the Virginia Tech participants to keep journals and to write about their observations and personal reflections. As I challenge myself daily, I encourage the GPPers to see new things and to see things in new ways (e.g., the doors and windows) and to see the unobvious. Once again I am on the eve of departure and looking forward to another wonderful shared experience and an individual journey. The Global Perspectives Graduate Deans program ended on Friday in Lugano and I traveled back to Zurich for one day prior to my return to the U.S.
As I walked around Zurich today, I could hear the voices of GPP alumni, I could see your faces in the crowds, and I was reminded of moments of sipping cappucino, eating bratwurst, strolling along the lake, watching the swans, buying chocolate, putting luggage on the train, walking the stairs to ETH and University of Zurich, and much much more. Although I did stop “counting people” when the program ended, your presence was still alive in Zurich. There are many stories spanning the seven years of the Global Perspectives Program including multiple programs (Switzerland, Chile, GradDeans). These programs cut across universities, countries, languages, and more. And they hold very fond memories indeed. It has been my great pleasure to share these personal and professional experiences with the global perspectives program (GPPers) as well as my graduate dean colleagues. Thank you for joining me on these adventures toward greater global understanding and helping to enrich global perspectives. Read, share and contribute to the blogs. Follow us on twitter @GPPVT and @kpdepauw (and more). Find us on Facebook (VT Graduate School, UniBasel GPP, GPPVT).